North Maluku (Indonesian: ) is a province of Indonesia. It covers the northern part of the Maluku Islands. The provincial capital is Sofifi, on Halmahera, and the largest population center is the island of Ternate. The Maluku Islands was formerly administered as a single province, however, in 1999 it was split into two provinces, with North Maluku being created out of the northern section of the province of Maluku. 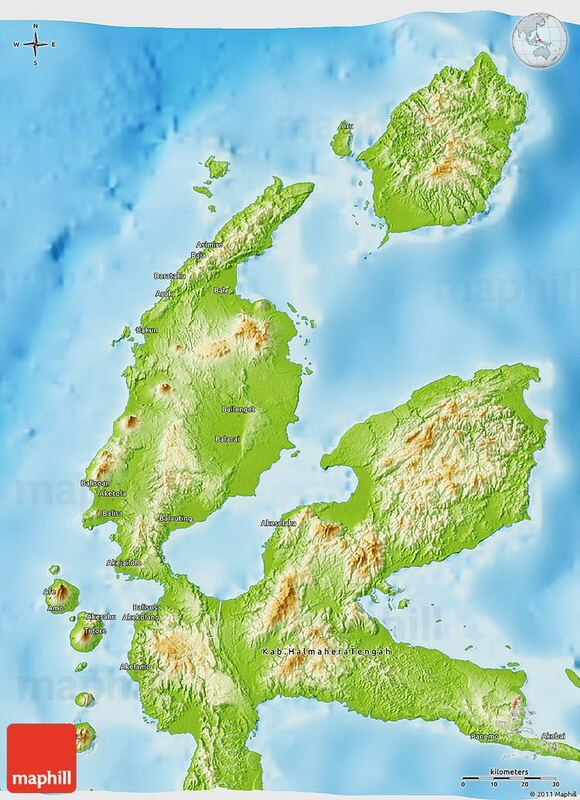 In the sixteenth and seventeenth century, the islands of North Maluku were the original "Spice Islands". At the time, the region was the sole source of cloves. 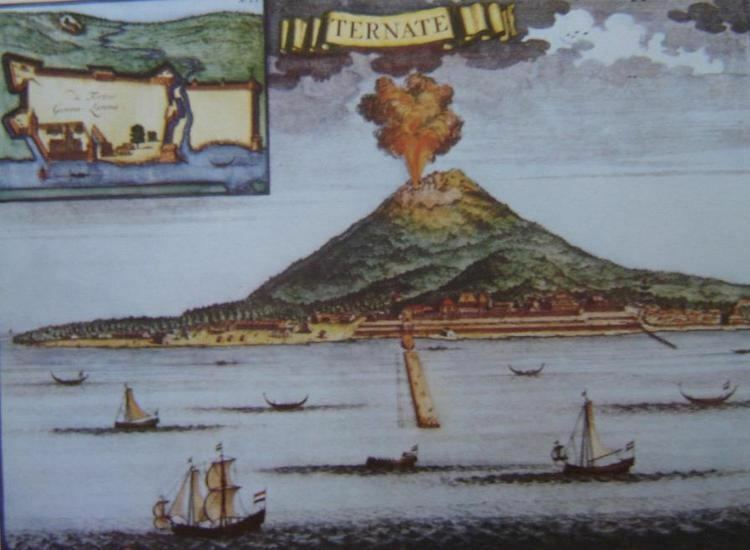 The Dutch, Portuguese, Spanish, and local sultanates including Ternate and Tidore fought each other for control of the lucrative trade in these spices. Clove trees have since been transported and replanted all around the world, and the demand for cloves from the original spice islands has ceased, greatly reducing North Malukus international importance. The population of North Maluku was 1,038,087 at the 2010 Census making it one of the least-populous provinces in Indonesia; at the latest estimate (January 2014) the population had risen to 1,141,561. The islands of North Maluku are mostly of volcanic origin, with the volcanoes of Dukono on Halmahera, Gamalama on Ternate still active and the whole of Tidore consisting of a large stratovolcano. The rainforests of Halmahera, Morotai, the Obi Islands, the Bacan islands and other islands of North Maluku have been described by the World Wildlife Fund as the "Halmahera rain forests" ecoregion and are home to a number of plant and animal species unique to the islands, which are in the Wallacea transition zone, containing a mixture of species of Asian and Australasian origin. The predominant trees of the forest are Anisoptera thurifera, Hopea gregaria, Hopea iriana, Shorea assamica, Shorea montigena, Shorea selanica, and Vatica rassak. The endemic mammals found here include the Obi mosaic-tailed rat (Melomys obiensis), Masked flying fox (Pteropus personatus), and three arboreal marsupials, the Ornate (Phalanger ornatus), Rothschilds (P. rothschildi), Blue-eyed (P. matabiru) and Gebe (P. alexandrae) cuscuses. There are over two hundred different birds on the islands, twenty-six of which are endemic, a large number for this small island group. The endemics include four birds which are the only species in their genera, including the elusive Invisible Rail (Habroptila wallacii), the White-streaked friarbird (Melitograis gilolensis), and two birds of paradise, the Paradise-crow (Lycocorax pyrrhopterus) and Wallaces standardwing (Semioptera wallacii). The islands are also home to the largest bee in the world, Wallaces giant bee (Megachile pluto). The islands have an tropical rainforest climate. Most of the natural forest remains on these mountainous islands, although much of the coastal and lowland areas have been cleared for clove-planting since the sixteenth century, especially on the islands of Ternate and Tidore. Logging has occurred more recently on Halmahera and Morotai.